By now, you should all be aware of the 1997 incident in Japan where a number of children were hospitalised after watching an episode of Pokémon. It was weird, and more than a little dangerous. So dangerous, in fact, that none other than the US military saw it as an opportunity to invent new and frightening weapons based on the episode and its aftermath. A Wired reader, having obtained documentation detailing the research following a Freedom of Information Act request, passed the info on to the publication, who write that "electromagnetic pulses" in the theoretical weapon could have fired somebody's synapses all at once, which would cause seizures in everyone exposed. 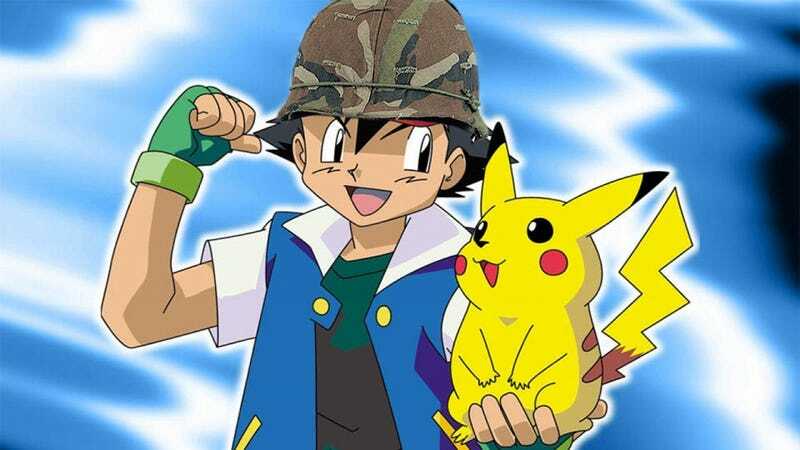 In providing reference for the idea, the Army specifically mention Pokémon, writing "The photic-induced seizure phenomenon was borne out demonstrably on December 16, 1997 on Japanese television when hundreds of viewers of a popular cartoon were treated, inadvertently, to photic seizure induction." While this sounds mildly terrifying, it was pitched as a non-lethal weapon, similar to the "heat ray" devices that got some press a few years back. In theory, it sounded great. "The onset of synchony and disruption of muscular control is said to be near instantaneous", the report states, while adding that it would be effective at ranges "up to hundreds of meters" and would affect "100% of the population". Guess in practice the idea went nowhere, though, because the Army says this "neurological weapon" was never actually developed.